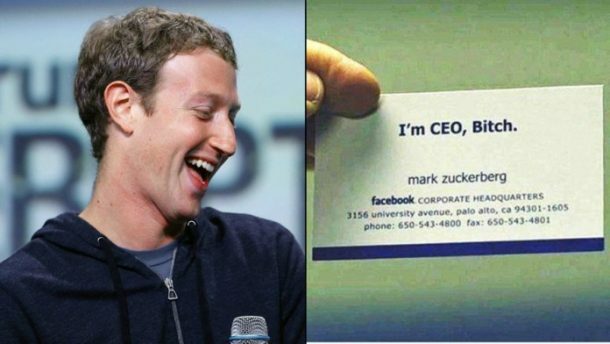 Even the most famous of people have to keep business cards for practical purposes. 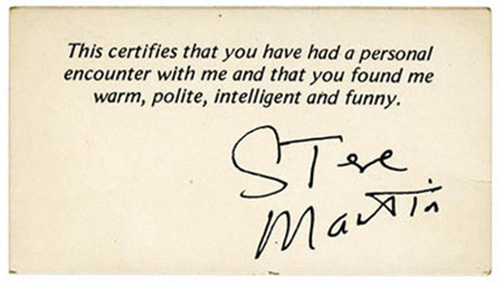 Today we are going to cover ten business cards of the most famous and accomplished people, and while some of them are not as “brilliant” as their owner’s accomplishments, it is still exciting to have a sneak peak. The is actually pretty witty and intelligent, much like the comedian’s humour. What was the guy thinking when making this! Surely this was just a prank and not the real deal. But then again, you are allowed to be smug if you have created a multi-billion company. 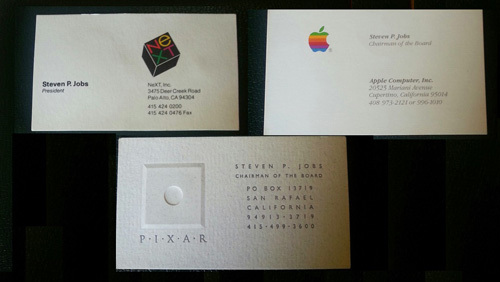 Founder of Apple, NeXt and Pixar, late Steve Jobs liked to keep it simple and clean. And for that, he had three different business cards for the adequate audience. 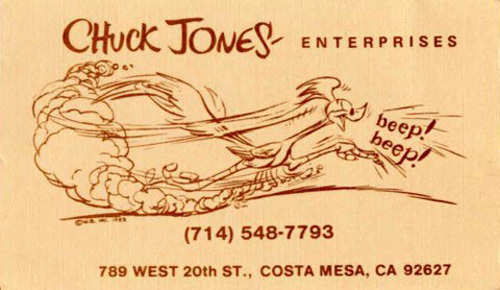 The legendary Chuck Jones was an American animator, filmmaker and cartoonist, famously know for his work with Warner Bros. on the Looney Tunes and Merrie Melodies shorts. 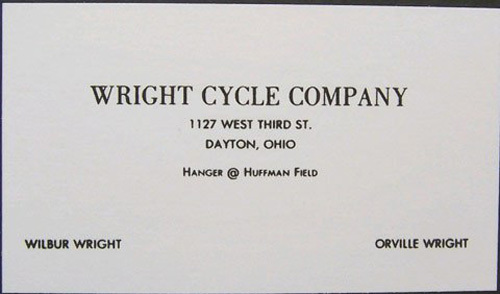 Larry’s card is a perfect combination of simplicity and elegance. 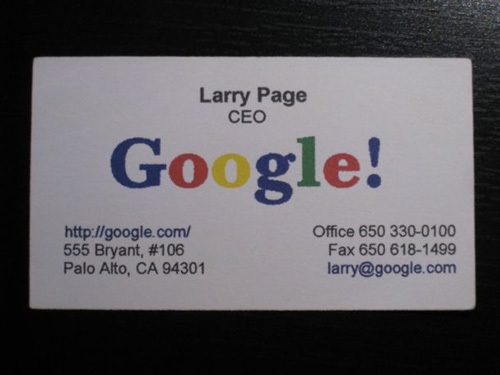 Bearing the traditional Google colours, it is a pretty sweet business card. 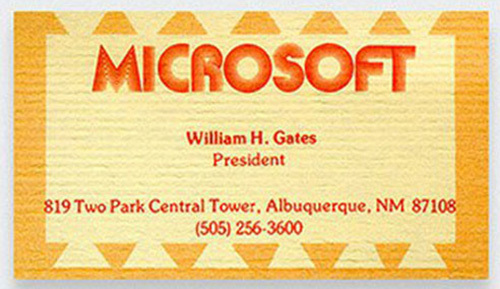 Yes, you read it right, Bill Gates’ legal name is William H. Gates, the third (so royal). But we have to say, his choice of colours is anything but that. Evan is the CEO of Twitter, which is a social networking platform like Facebook. 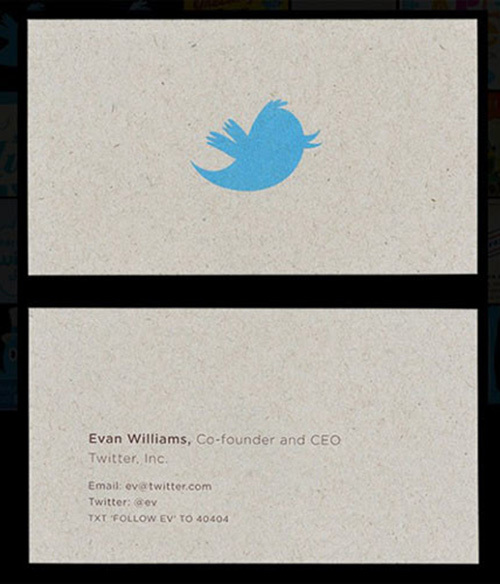 Evan’s card is designed much like the rules on his platform, keeping the text equal or less than 140 characters. This is the card of the two revolutionary brothers who went on the create the first ever flying plane. Humble beginnings indeed! 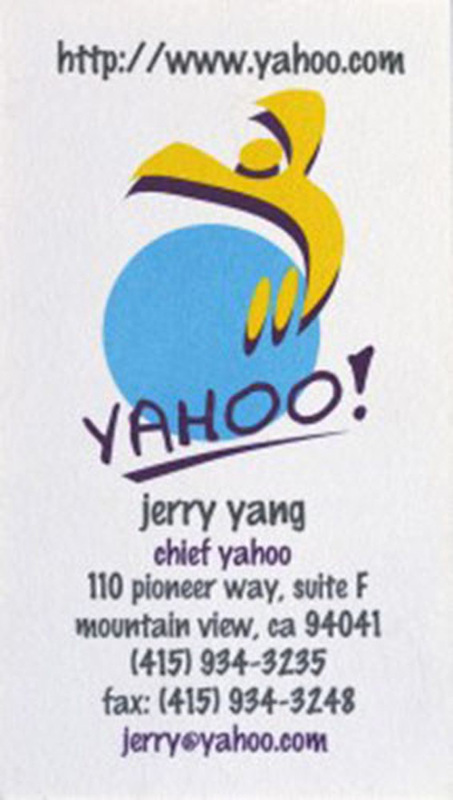 Jerry Yang was the former CEO of Yahoo!, and yes this is how their logo used to look when the company started!